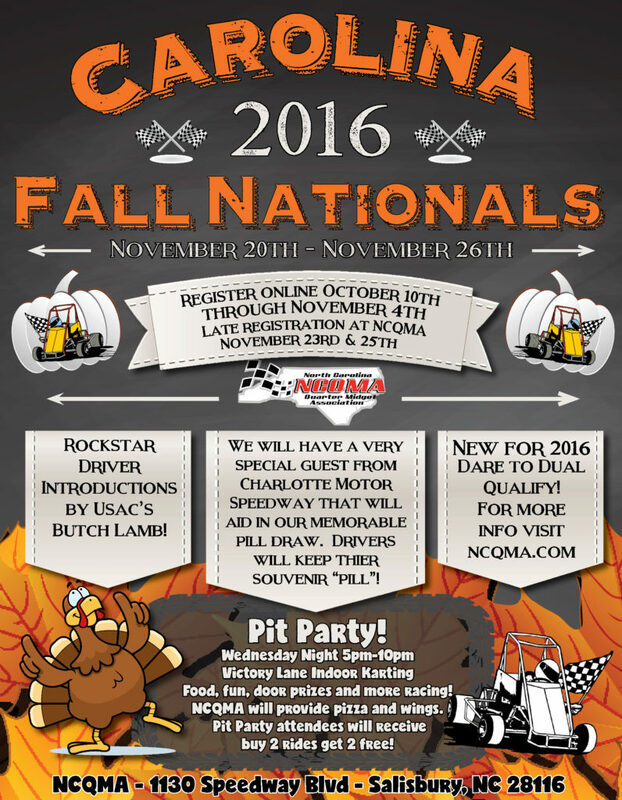 The 12th Annual Carolina Fall Nationals will be held from November 20th – 26th, 2016. Online registration will open on October 10th at 7pm EST and will close November 4th at 10pm EST. Rockstar driver introductions by Radical Racegear’s Butch Lamb. Dare to Dual qualify! Dual qualifying format will include a combination of batch qualifying and heat races, with a special guest from Charlotte Motor Speedway to aid in our memorable heat race pill draw. Get more details here. 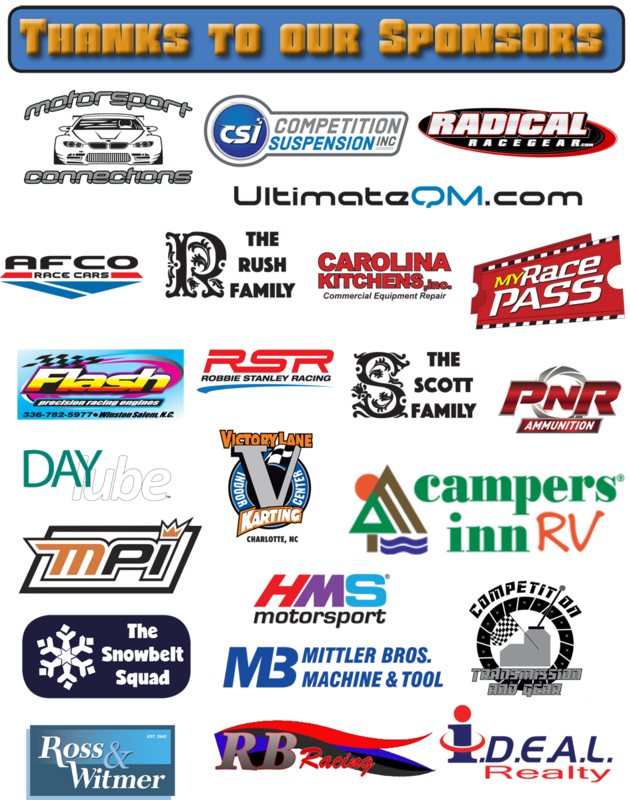 Thank you to our CFN sponsors! ← Previous Story Arrive & Drive has been RESCHEDULED to Sunday, 10/9!